Escape the heat of summer and join us again for this annual series to enjoy free performances, artist demonstrations and more, every fourth Sunday of the summer. Admission to the museum’s galleries is free all day (except for the exhibition Frida Kahlo and Diego Rivera), so gather the whole family and come to the Heard Museum for cool fun that kids of all ages will enjoy. 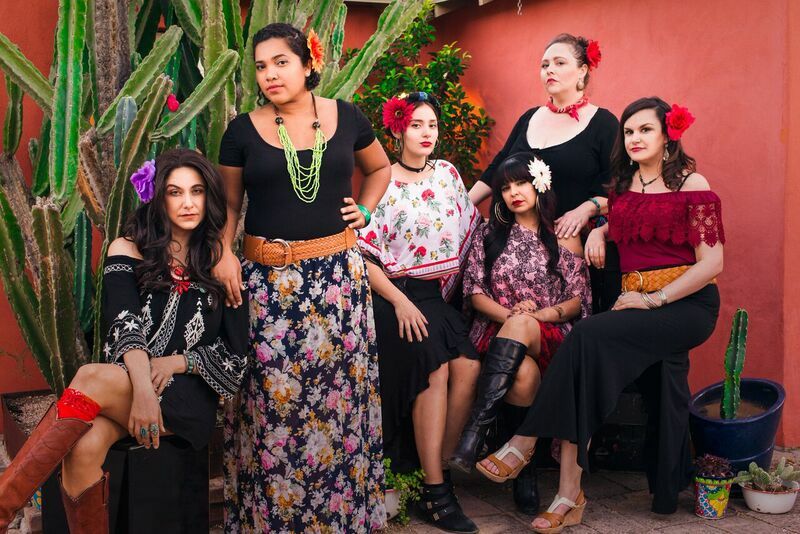 All-female Phoenix quintet Las Chollas Peligrosas draws upon multiple sub-genres of traditional Latin music from Rancheras to Mariachi to Cumbia and everything in between, even hints of Old World Gypsy Folk. This six-part multi-lingual group comprising vocals, accordion, flute, violin, classical guitar, percussion and upright bass deliver a mix of classic standards and inspired original compositions. Rich with supporting harmonies, all the musicians take the lead during their performance and much of the subject matter is catalytic, pointed and poignant in true folkloric fashion. In the spirit of their prickly namesake, Las Chollas Peligrosas speak to truth and empowerment in the name of human rights and cultural awareness. Each member of Las Chollas Peligrosas has arrived through different musical journeys but share a love for this music and the power it has to unite the community and communicate the voice of the people for positive change. Make Frida and Diego-themed art projects in our kid-friendly exhibition It’s Your Turn: Frida y Diego from 11 a.m. to 4 p.m.